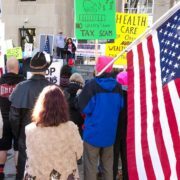 KEEP UP THE PRESSURE: STOP TRUMP TAX SCAM NOW! Yesterday Republicans took another step toward passing the Tax Scam. 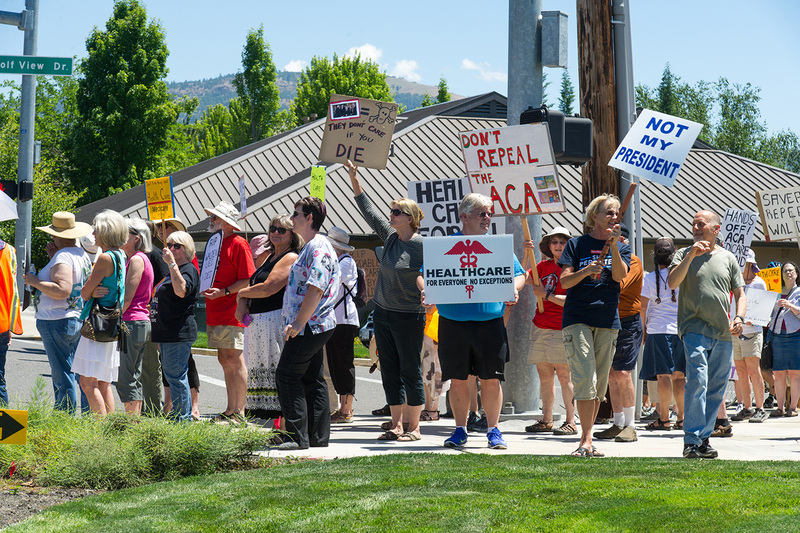 Citizen pressure stopped the ACA repeal . . . This plan is NOT tax reform. It’s tax cuts for the wealthy at the expense of our communities. 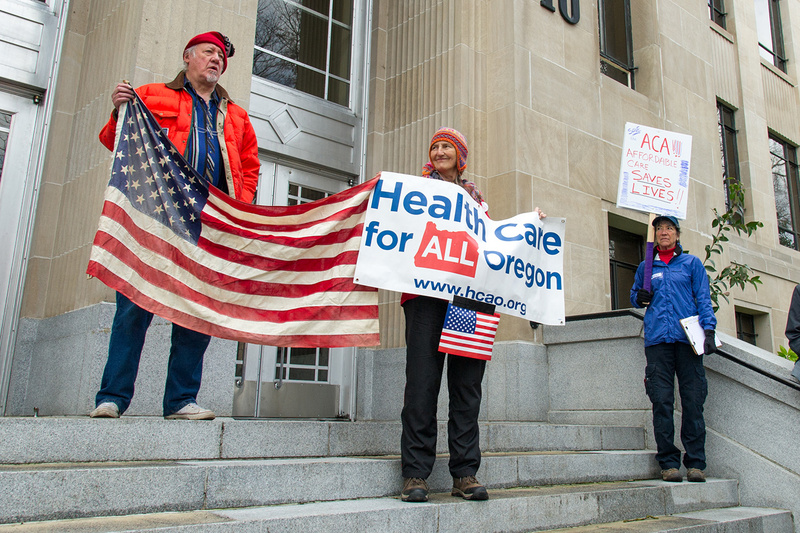 • 178,000 Oregonians will lose health insurance coverage. • 402,300 Oregon families will see a tax increase. • The increased deficit will trigger automatic cuts to nearly the entire web of government support for daily life. • Medicare will be cut by $25 billion in the first year—and $400 billion over ten years. 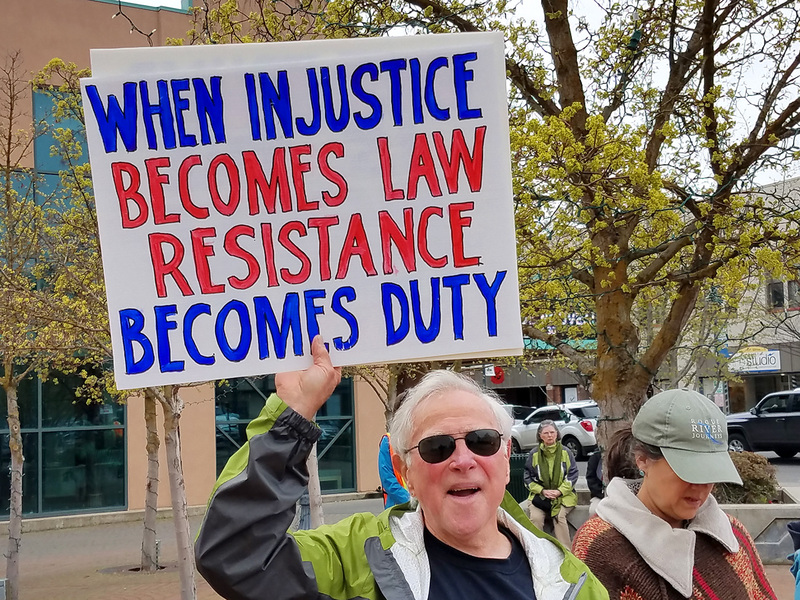 • Affordable housing, nutrition, grants for elementary and secondary education, scientific research, roads, bridges, law enforcement…and much, much more would be subject to cuts every year. • The proposed elimination of the ACA’s requirement to buy health insurance will drive up premiums 10 percent year after year. 13 million people will lose insurance over the next ten years. We may only have a few days before the final vote. 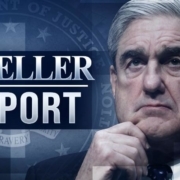 Take these action steps NOW, and every day until we win. 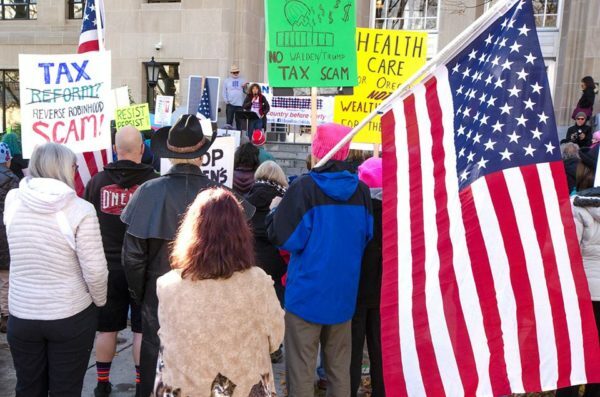 Call progressive constituents in critical swing states – Alaska, Arizona, Tennessee, and West Virginia – and urge them to call their Senators to vote NO on the Tax Scam. Better yet: invite visiting family/friends to join you and make calls together! Count how many calls you can make and cheer each other on! Share this post with friends and family in every state. Help them to call their Senators. Every Senator is a target. 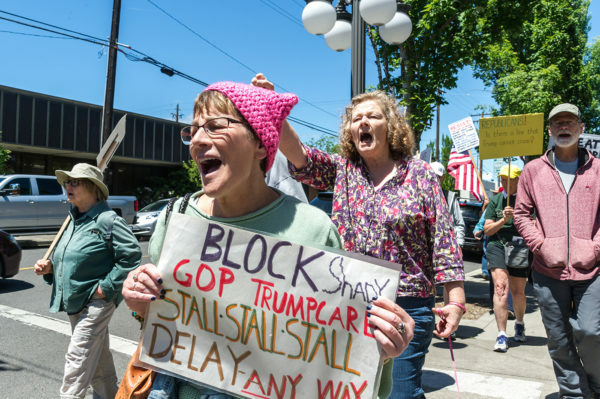 These particular GOP senators have expressed concerns about the bill – Arizona (Flake and McCain), Maine (Collins), Alaska (Murkowski), Louisiana, (Kennedy), Tennessee (Corker), Wisconsin (Johnson), Montana (Daines), Oklahoma (Lankford), Kansas (Moran), Indiana (Young), Utah (Lee), Florida (Rubio). Everyone can set goals to call for a certain amount of time, or everyone can call at the same time. Remember – NOW IS THE TIME! Don’t put this off. We need to do this for ourselves, our families and for future generations. Give your holidays a RESISTANCE theme with gifts from the ORD2 Indivisible collection! Our shirts, buttons, pens, calendars and bumper stickers will make great stocking stuffers for young and old alike. E-mail us at contact@ord2indivisible.org for availability, pricing, shipping and/or pick up details. 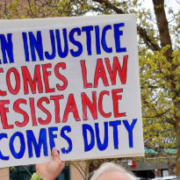 Remember, every penny of profit from these sales helps us further our mission to resist the current administration in Washington, DC, and to promote our progressive values of honesty, inclusion, fairness and tolerance. 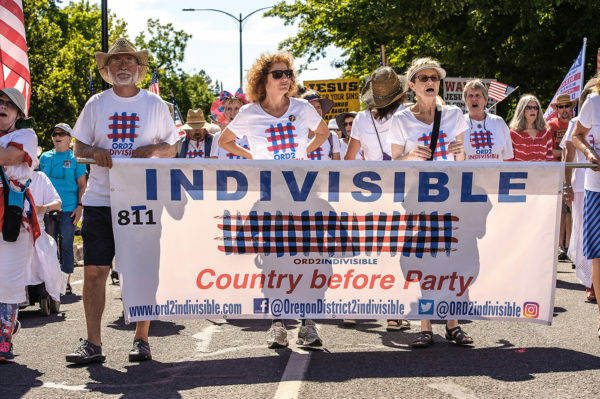 Thanks for considering ORD2 for the Indivisibles in your life!